Shoulder Instability – Part 2 of Shoulder Series. We see many patients with shoulder instability thanks to either genetics giving them ligamentous laxity (you can’t pick your parents) or due to trauma causing a subluxation or dislocation (You have to live life!). Recall the last post in which I described the bony structure of the shoulder as a basketball on a tea cup saucer – built for mobility. In an effort to keep the basketball centered in the tea cup saucer you have the rotator cuff muscles (“SITS” – Supraspinatus, Infraspinatus, Teres Minor, Subscapularis) functioning to control the biomechanics of the glenohumeral joint. The long head of the biceps muscle runs over the top of the humeral head (the ball) and attaches at the 12 o’clock position on the glenoid fossa (the socket). In addition, there are very strong ligaments within the joint capsule. This joint capsule surrounds the ball and socket like a rubber boot that encases the springs of a car – the entire joint is within the capsule. The ligaments within the capsule are the superior, middle and inferior glenohumeral ligaments. Then we have the labrum, a triangular shaped ring of cartilage around the glenoid fossa (the socket). It deepens the socket. 1. Create static stability – this is done by the ligaments, the capsule, the bony/labral structure. 2. Create dynamic stability – done by the rotator cuff and the long head of the biceps muscle. 1. Atraumatic Instability – failure of the static and dynamic stabilizing forces due to genetic ligamentous laxity and/or rotator cuff malfunction (weakness, poor proprioception). You may be aware of someone who does that age-old party trick of subluxating (partially dislocating and relocating) his/her humeral head inferiorly (downward) under his/her own muscle power. This creates a sulcus sign – a divot beneath the acromion (recall from the previous post?) as the humeral head drops downward. Why? The above listed static restraints are looser than normal and hence there is more movement in the joint. 2. Traumatic Instability – need I say this one really hurts!? If there is a blow to the proximal humerus (upper arm) forcing the arm into combined extension (backwards), abduction (away from the body) and external rotation (hand rotated outwards) there may be an anterior dislocation. The humeral head pops out of the glenoid fossa to the front. If there is axial loading of the humerus (a force directed upward from the elbow to the shoulder like falling forwards onto your outstretched hand with elbows locked or falling onto your elbows) while the humerus is adducted (across your body) and internally rotated (hand turned inwards), the shoulder will dislocate posteriorly (backwards). Very rarely is there an inferior dislocation and even less so a superior one – we will not cover these in this post. What does physical therapy do for a patient with either an atraumatic or a traumatic dislocation? 1. Atraumatic dislocation: The primary goal in physical therapy is to maximize the rotator cuff function so that the dynamic stabilizers can compensate for the failed static stabilizers. Yes, this means improving the rotator cuff strength. This is, however, not enough. The rotator cuff muscles must work in concert with each other and with the primary (larger and stronger) muscles which move the shoulder e.g. deltoid, pectoralis major. Rhythmic stabilization exercises are done to train the rotator cuff to keep the humeral head centered in the glenoid fossa while performing a variety of both static and dynamic tasks in the clinic. The rotator cuff muscles must contract together to compress the humeral head into the glenoid fossa thus creating a secure scapulohumeral connection (recall last post?). They must also be able to contract selectively to resist the forces created by the primary movers of the shoulder so that the humeral head does not move off center too much. If it does move off center the shoulder could subluxate, dislocate or simply impinge tendons on the acromion thus causing pain and dysfunction. 2. Traumatic dislocation: The primary goal after a traumatic dislocation is to avoid surgical stabilization. However, this mechanism of injury frequently requires surgery due to damage to stabilizing structures. However, a well constructed rehabilitation program can prove beneficial in avoiding surgery or, at least, can maximize the range of motion and rotator cuff strength preoperatively which, in my experience, results in a significantly better outcome following surgery. The physical therapist will help the patient regain normal range of motion and strength while protecting any traumatized (torn?)(unstable!) structures. Techniques used by the therapist will be joint and soft tissue mobilization to improve the accessory motions of the humeral head within the glenoid fossa, appropriate stretching to regain full range of motion while protecting traumatized structures and then progressive strengthening of the rotator cuff musculature in a selective manner – for example, anterior dislocations need stability anteriorly so more focus will be placed on tightening up and strengthening anterior structures. 1. If you need to choose between atraumatic or traumatic shoulder instability I would suggest the atraumatic variety! This typically responds well to an expertly designed shoulder stabilization program (which you do for the rest of your life!). 2. Traumatic dislocations of the shoulder frequently require surgical intervention. 3. Shoulder joint function is dependent on static and dynamic stability mechanisms functioning in concert. 4. 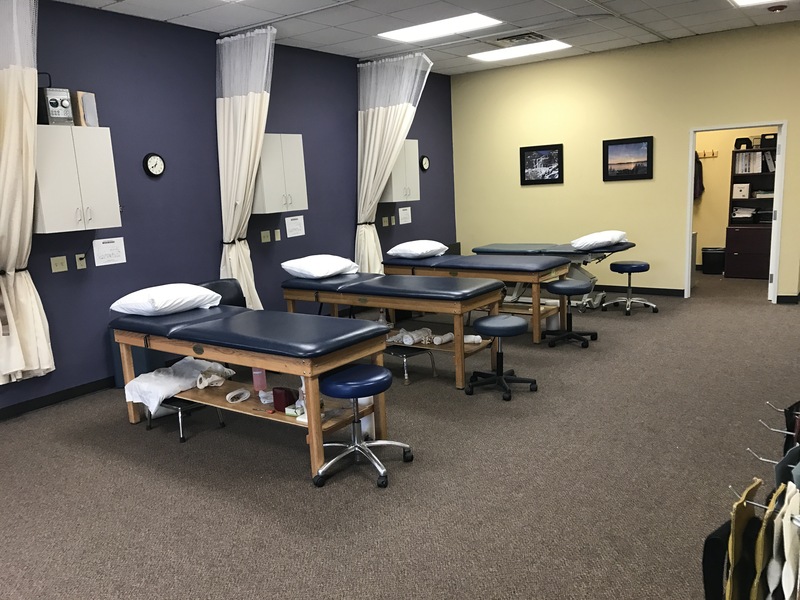 When you go to physical therapy for shoulder instability you should be prepared to work really hard both in the clinic WITH the physical therapist AND at home doing a comprehensive home exercise program specifically designed for your shoulder and your needs. 1. Please forward this on to your friends, family members and co-workers. 2. Call us with any questions you may have regarding this post or stop by one of our clinics to get your questions answered. 3. POST something on this blog. Custom Physical therapy would love to hear from you. Shoulder pain can be due to tendinitis, tears of the rotator cuff, a labral tear, an unstable joint, referred pain from the neck, an acromioclavicular joint separation, a dislocation, or buritis, to name a few musculoskeletal causes. This post is the begining of a series addressing shoulder pain, a fairly common problem. In 2003, the Center for Disease Control (CDC) estimated shoulder pain affected 13.7 million people in the United States. A brief description of the anatomy will help with understanding the reason for the different causes of shoulder pain. Consider the bony construction of the joint: There is very little bony stability in the design of the shoulder. It is designed for mobility. The head of the humerus (the ball) sits in the glenoid fossa (the socket) like a basket ball sits on a tea cup saucer. Yes, thats the geometry, a really big ball on a small shallow socket. Clearly this is built for mobility and not stability. Contrast this anatomy with the hip joint which is build for stability. Here the head of the femur (the ball) sits deep in the acetabulum (the socket) which almost surrounds the ball (it is deeper than the glenoid fossa) giving far greater structural support to the joint from the bony anatomy. This contrast in design between the hip and the shoulder fits perfectly with the function of the joints: the hip is a weight bearing joint for walking while the shoulder is a non-weight bearing joint which serves to place our hand anywhere in space so we can use the fine motor skills of our hand e.g. scratch your back, tie your shoes, put on a shirt, push open a door, pull a rope, play tennis, throw a ball, shoot hoops! The glenoid fossa is part of the scapular (shoulder blade) which is attached to the rest of the skeleton via the clavicle. The acromioclavicular joint (A-C joint) is the joint between the part of the scapular called the acromion and the distal (away from the midline of the body) end of the clavicle. This is where shoulder pain may be felt from an A-C joint separation (more in later posts). The sternoclavicular joint (S-C joint) is the joint between the proximal (midline) end of the clavicle and the sternum (“breast bone”) and is the only bony attachment of the shoulder to the rest of the skeleton! Yes, the scapula floats freely on the back of the rib cage and is held in place by numerous muscles which orchestrate its movement when you use your arm. A floating scapula and a huge ball in a shallow, small socket … now that is a joint made for movement! Why is this important to physical therapy? Look at the moving parts that have to function together for optimal use of your arm! The scapula has to rotate to angle the glenoid fossa correctly with various arm movements e.g. reaching to a cupboard above shoulder height. This is not possible if the A-C joint and the S-C joint are not moving correctly. So these joints have a combined function – if one is not moving well then the arm may not move correctly and you may have shoulder pain. The muscles controlling scapular motion also need to be contracting at the right time with the right force to ensure correct positioning of the glenoid. Physical therapists evaluate and treat all these aspects of shoulder function in patients with shoulder pain. Consider the soft tissue construction of the joint: What is the rotator cuff? The supraspinatus muscle is the most commonly involved muscle in shoulder pain as it passes through the small space between the top of the humeral head and beneath the acromion of the scapula. It can thus be compressed between these 2 bones (referred to as impingement). If the biomechanics of the joint is abnormal (various reasons) there can be repeated tendon irritation against the acromion thus creating shoulder pain. Alternately, the shoulder pain can be a consequence of the supraspinatus tendon being forcefully compressed between the humeral head and the acromion e.g. jamming the shoulder joint by falling forward onto your hand with your elbow straight, or pinching the tendon if you fall onto an outstretched hand forcing your arm all the way above your head. The resultant inflammation of the supraspinatus tendon is referred to as rotator cuff tendinits. Repetitive overhead tasks (e.g. electrician working overhead, pitching in baseball, lifting packages to shelves above shoulder height) may also inflame this tendon as the rotator cuff, as a whole, may fatigue and hence alter the biomechanics of the shoulder resulting in impingement and hence shoulder pain. The other 3 rotator cuff muscles (infraspinatus, teres minor and subscapularis) serve as shoulder depressors. That is, they pull the head of the humerus (the ball) downwards as the arm is elevated. This reduces the compression of the supraspinatus tendon as described above. So, if you are lifting a heavy object overhead to a shelf and the shoulder depressors are over powered by the muscles doing the lifting, the humeral head will ride high in the glenoid (the socket) and result in impringement as described above. In summary, the shoulder is a very complex joint. It’s function is dependent on synchronous functioning of the muscles which move the scapula as well as the rotator cuff which keep the ball of the joint centered in the socket. These muscles must have suitable strength, balanced (front and back of shoulder) flexibility as well as sufficient endurance. A well trained physical therapist will evaluate all these aspects of shoulder function and determine what deficits are causing the shoulder pain. He/she will then design a rehabilitation program to address the cause of the shoulder pain, correcting the deficiencies thereby abolishing the pain and regaining full function. Post a question (or topic) you would like to see addressed. Forward this to a friend, family member or co-worker. Call us with any questions you might have. Await the next post on shoulder pain: Glenohumeral instability.